I was very excited when Coldstone Creamery came to Nigeria. 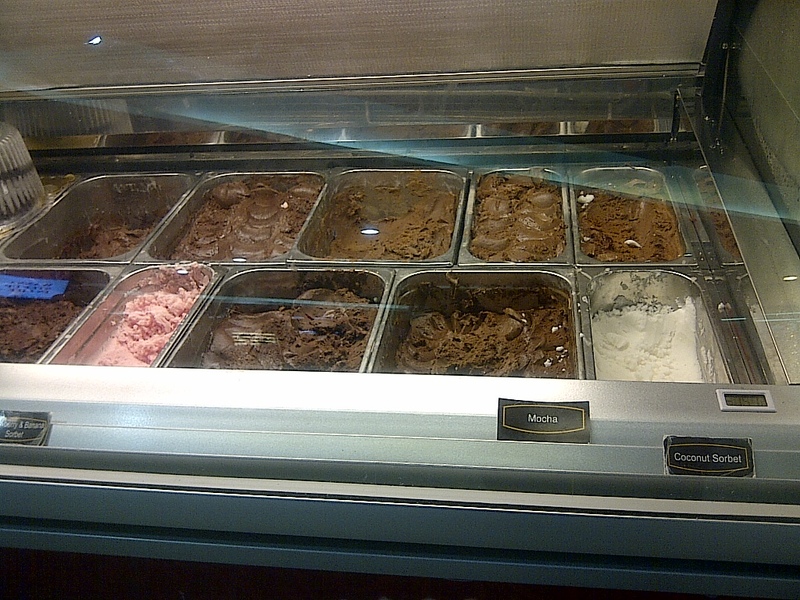 I’d bemoaned the less-than-stellar quality of ice cream here, so when I heard they’d opened in Lagos, I was thrilled! I’d been to the locations on Saka Tinubu in VI, and on Admiralty in Lekki a couple of times last year. After a couple of months, I heard that the flavor options had dwindled drastically. This year, another branch was opened at The Palms Mall, and I hoped they would have a better selection of flavors However, just like the first two branches, this one has mostly chocolate only! I love chocolate ice cream, without a doubt, but it’s becoming an embarrassment to the Coldstone Creamery brand, when someone can’t order 95% of the listed menu items, because there’s only one flavor available. I asked for a waffle bowl, which I discovered was stale afterwards and had to throw most of it away. In addition, the almond topping I wanted wasn’t crushed. It’s hard to eat whole almonds in ice cream. One of the wait staff tried her best to crush them by hand, so her effort was much appreciated. I’ll end by saying that the quality of Coldstone Creamery in Nigeria has slipped a lot, since they first came. They need to do something about getting their flavors in ASAP! I’d rather have NO ice cream, than a substandard Coldstone Creamery.